So often on this blog, I share recipes I’ve made for my family, and if you stick around here long enough, you’ll find that we are no stranger to hot and spicy foods. We love everything from hot wings to Mexican, and Chinese food! 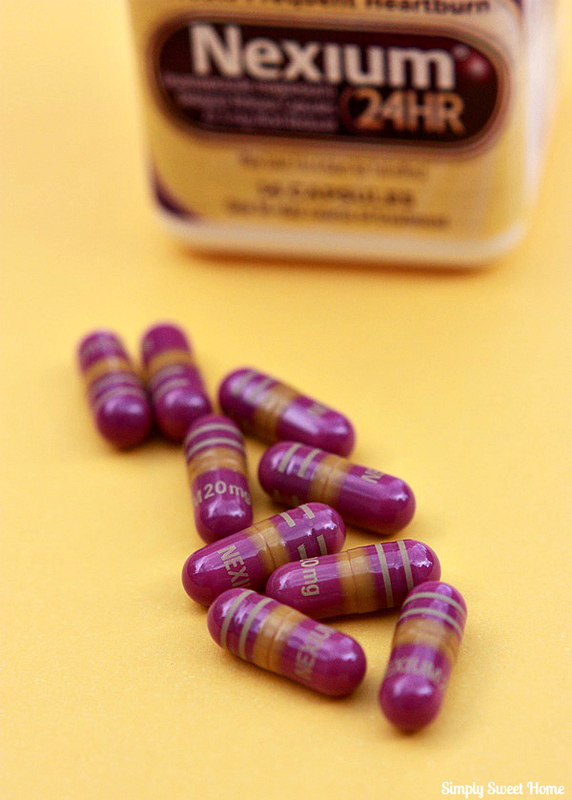 It’s all very delicious, but as you can imagine, it often means a little digestive comfort, and for that reason we go to the Purple Pill for Nexium Level Protection! 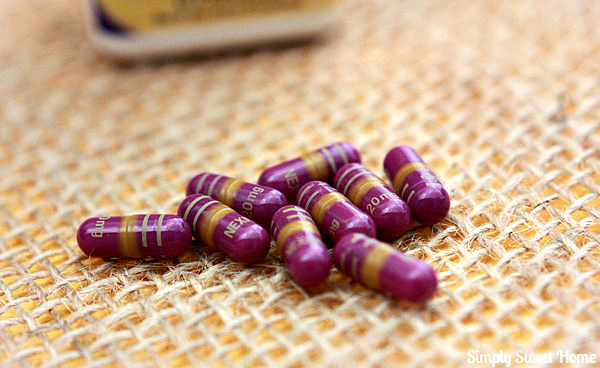 Other members of my family took Nexium for years, and like a lot of people, our whole family was happy when we learned we’d finally be able to pick up this medicine over the counter! 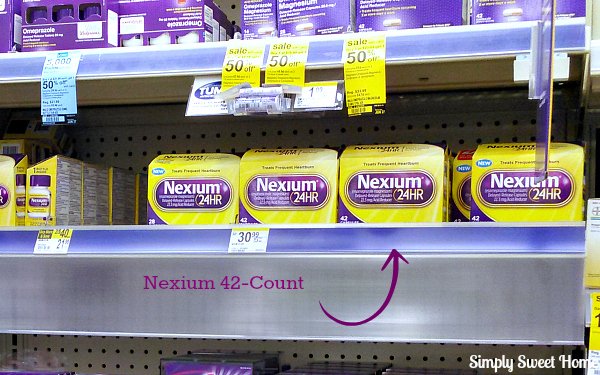 Taking one Nexium 24 HR a day can give you all-day, all-night protection from frequent heartburn. For anyone who’s ever had to deal with even occasional heartburn, you know this kind of protection is an asset! 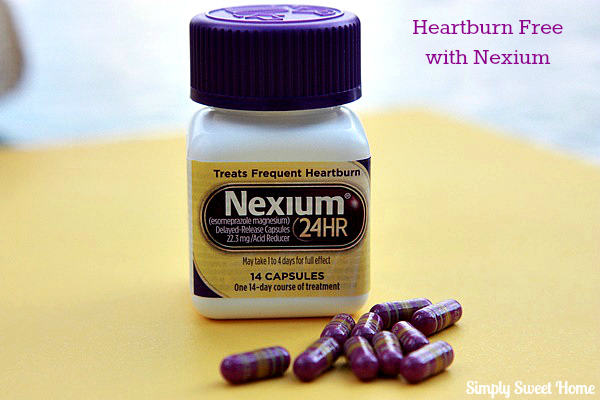 If you have heartburn and you’ve never tried Nexium 24HR, this is a great time to do so. Walgreens is having a deal for June where shoppers can save $3 off 42ct. Nexium 24HR. This offer expires at the end of June and is valid while supplies last. 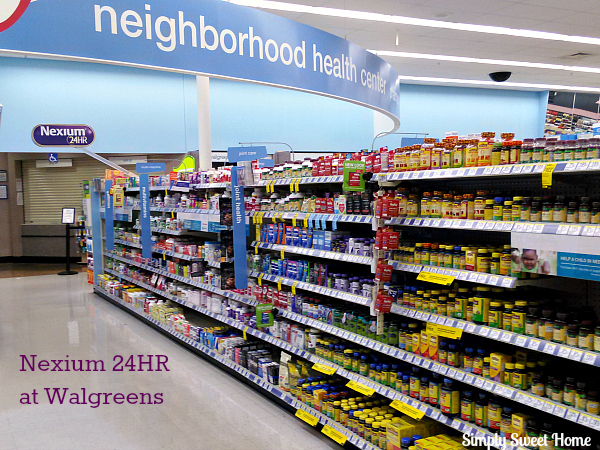 I purchased Nexium 24 HR in the medicine aisle, near the pharmacy at Walgreens. My store even has a big display sign you can see from a few aisle over! You’ll find Nexium in counts of 14, 28, and 42. I like to buy the 42-Count box. It contains 3 of the 14 count bottles, which is very convenient if you have more than one person in your family who is using the medicine. The 42-count package is also the best deal! I’ve already mentioned our love for Chinese food. I’d say it’s one of my favorite things to eat out! But as much as I love it, I don’t enjoy the heartburn it brings later on, so I’ve grown quite accustomed to taking Nexium each day to prevent the heartburn, no matter what we’re eating! A couple of weeks ago, I decided to make my own Asian-inspired cuisine at home. I found this recipe for Honey Garlic Chicken. 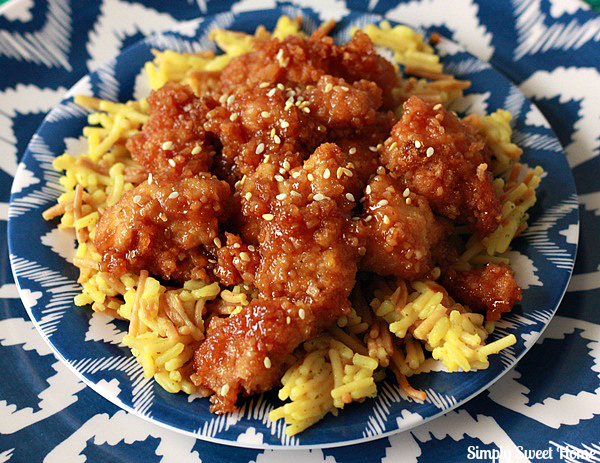 It is very similar to Honey Chicken, Sesame Chicken, and General Tso’s chicken, which I’ve enjoyed from many a buffet and take-out establishment in the past. 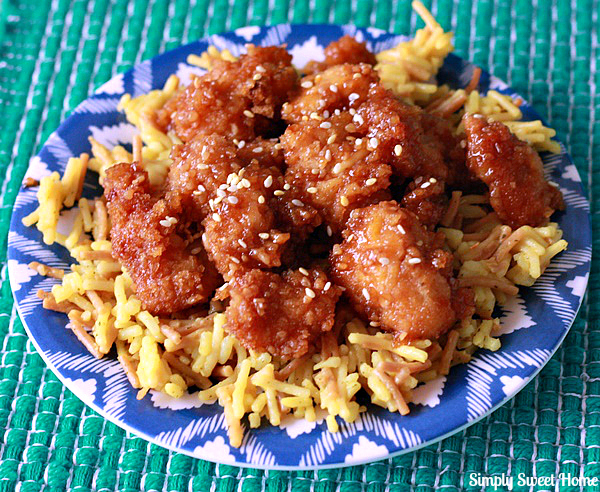 If you’ve wanted to try Asian cooking, I suggest trying this recipe for starters. It’s very easy, and it’s delicious! Just make sure you have you Nexium handy, as it is a little spicy! Preheat oven to 400 degrees F. Coat a 9x13 cookie sheet or baking dish with cooking spray. Take cut chicken and cut in to small pieces (about an inch). Season chicken with salt pepper. Place eggs in bowl and beat. Dip chicken in eggs and then dip in Panko breadcrumbs. Place chicken to prepared pan or dish. Bake chicken for about 20 minutes or until lightly browned and cooking is complete. In a small bowl, combine cornstarch and 1/3 cup water. Stir mixture into the saucepan until thickened, about 1-2 minutes. Remove from heat to prevent sticking. Toss chicken in sauce and stir until chicken is well coated. Serve on top of a bed of rice and/or broccoli. Garnish with sesame seeds. Do you suffer from heart burn too? Leave a comment on this post telling us a food that Nexium 24HR helps you to enjoy! I love Chinese food too! Thanks for sharing this awesome recipe! I can’t wait to try to make this at home! Dropping in from Much Ado About Monday! Pinned it!